Disc golf is a the fastest-growing sport in America. It’s golf…played with flying discs (Frisbees)! The object of the game is the same as ball golf—you want to “hole out” in as few throws (strokes) as possible. To do so, you have to get your disc in a standardized basket. Warning—it’s addictive! Disc golf can be played with just one disc, but the pros carry as many as 20-25! Different discs are used for tee shots (drives), approach shots, and putts. 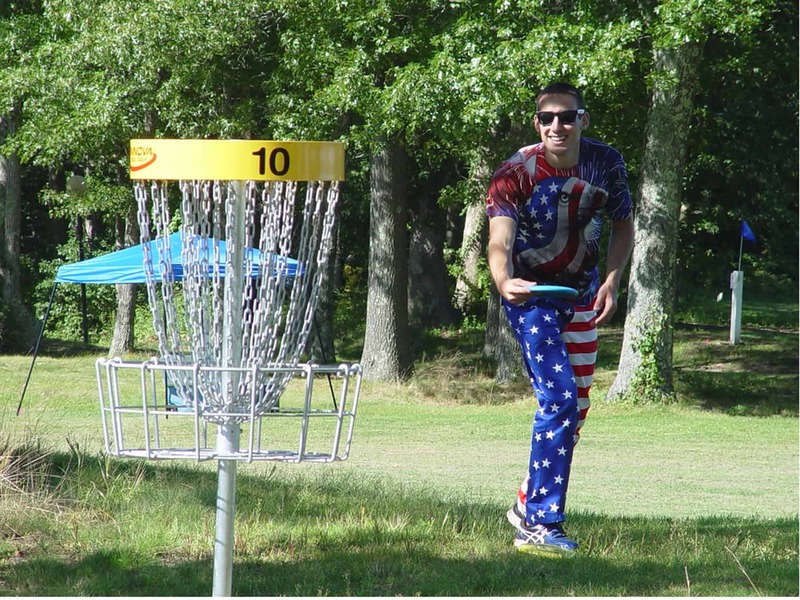 There are over 7,000 disc golf courses in over 30 countries worldwide—5,000 right here in the U.S. alone! The game is great fun for all ages, and unlike its ball golf counterpart, it’s easy for beginners to pick up. Disc rentals available. Walk-ons welcome. The fastest growing sport in America!!! Disc golf can be played throughout the seasons. Great for a family or group outing. Course designed with the pro’s in mind.